To get your voucher simply fill in Your Name below and if it’s a gift for a friend enter their name and email address in the Recipient boxes. 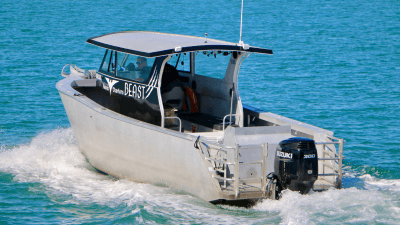 We are excited to introduce to you our new fishing vessel BEAST. This is one hell of a fishing machine and allows us to get out to the fishing grounds quickly. 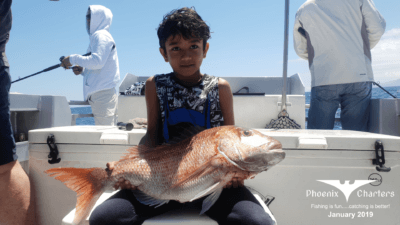 With the new boat, we are also able to target anything from Snapper to Kingies and maybe even Marlin in Summer time. 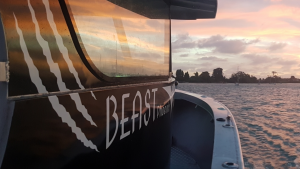 Our new boat is a custom designed 9.3m full walk-around aluminium vessel which is powered by a 300hp Suzuki outboard, with this big outboard we are cruising the gulf at 25 to 28 knots allowing us to fish anywhere from Waiheke to Great Barrier and all the places in between. We are able to fish 8 to 9 guests with the walk-around design allowing everyone loads of room to fight their fish. The cabin features full length bench seating with room for everyone to have a seat and the separate private bathroom complete with hand basin and electric flush toilet is big enough to stand up in. Also with the fully caged extended boarding platform and dual walk through transom setup you can play even the biggest fish from any corner of the boat. 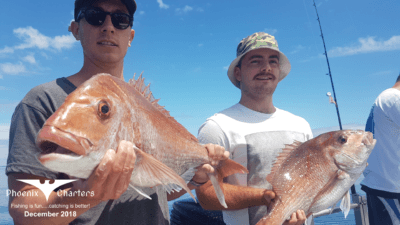 We’ve added in a massive live bait tank just below a huge rigging station to allow us more fishing options, we can tailor make any fishing experience you like be it chasing Snapper in the workups with lures or live baiting for monster Kingfish or even a softbaiting expedition to Little or Great Barrier Islands, the whole Hauraki Gulf will be our playground. We’ll have several individual trips heading out every week that you and your mates can join so grab yourself a voucher and maybe one for a mate then get in touch when you’re ready to book.